Xeus (pronounced Zeus) is a vertical-landing, vertical-takeoff lunar lander demonstrator being developed by a partnership of Masten Space Systems and United Launch Alliance (ULA). Xeus currently consists of a Centaur upper stage (from United Launch Alliance) with RL-10 main engine to which four vertical thrusters have been added. Production Xeus are estimated to be able to land on the Moon with up to 10 tonnes payload when using the expendable version or 5 tonnes payload when using the reusable version. 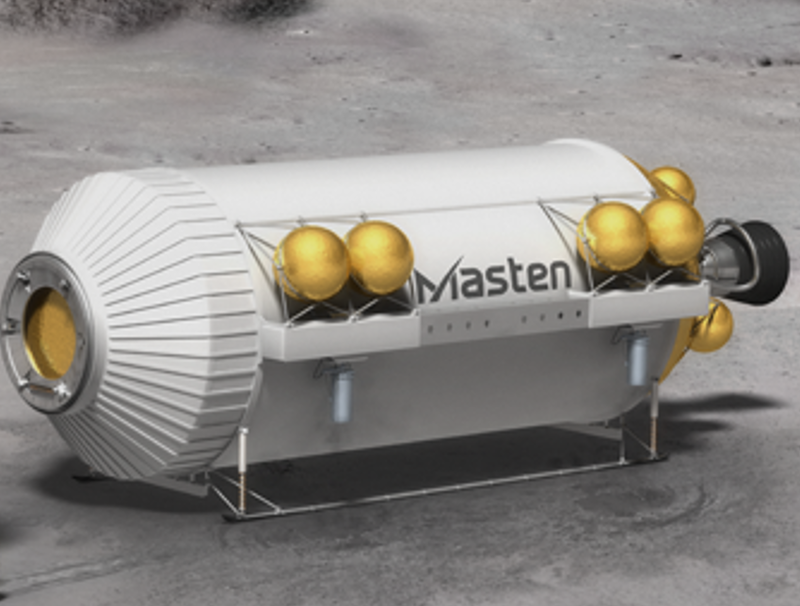 Masten currently has two Centaur tanks in Mojave awaiting development and testing. One test article and one damaged and thus not flight worthy tank. The damaged Centaur on the demonstrator Xeus limits it to Earth flights. The production versions would have to be manufacturing fault free and certified for space operations. Man rating may also be added in the future. United Launch Alliance, supplier of the Centaur, refer to Xeus as an abbreviation for eXperimental Enhanced Upper Stage. Each of the engines used on a Xeus lander are likely to produce 3,500 pounds-force (16 kN) when performing a horizontal touchdown. In December 2012, Masten demonstrated their all-aluminum 2,800 pounds-force (12 kN) regeneratively-cooled engine, the KA6A. As of December 2015 United Launch Alliance (ULA) is planning to upgrade the XEUS's main body from a Centaur Upper Stage to the Advanced Cryogenic Evolved Stage (ACES) which they are currently developing, significantly increasing the payload. In 2015 ULA suggested upgrading the proposed XEUS lunar lander to use ACES as a structural core instead of a Centaur. In this design, based on ULA's earlier Dual Thrust Axis Lander (DTAL), the ACES stage would land on its side, with four short, simple legs supporting the lower curved surface just clear of the ground. The descent engines (also used for ascent) would be mounted on the sides of the stage, about three metres above the lunar surface when landed, and would use the same H2 and O2 fuel as all the other engines. "A lander fashioned as a 'kit' on an existing 2nd stage should be affordable for a commercial program like Golden Spike, recognizing [that] the habitat element would still be a significant development." This version of XEUS could ferry something like 25 tonnes of supplies between the lunar surface and one of the Earth–Moon Lagrange points, making many round trips and needing only to be refilled with LH2 and LO2 (some of which could potentially be produced on the lunar surface). This would fit very well with ULA's depot-based system of space logistics. The IVF generator would also make XEUS independent of sunlight, and provide ample electrical power even if it landed in a permanently shaded crater near one of the lunar poles, where there might be accessible water ice.